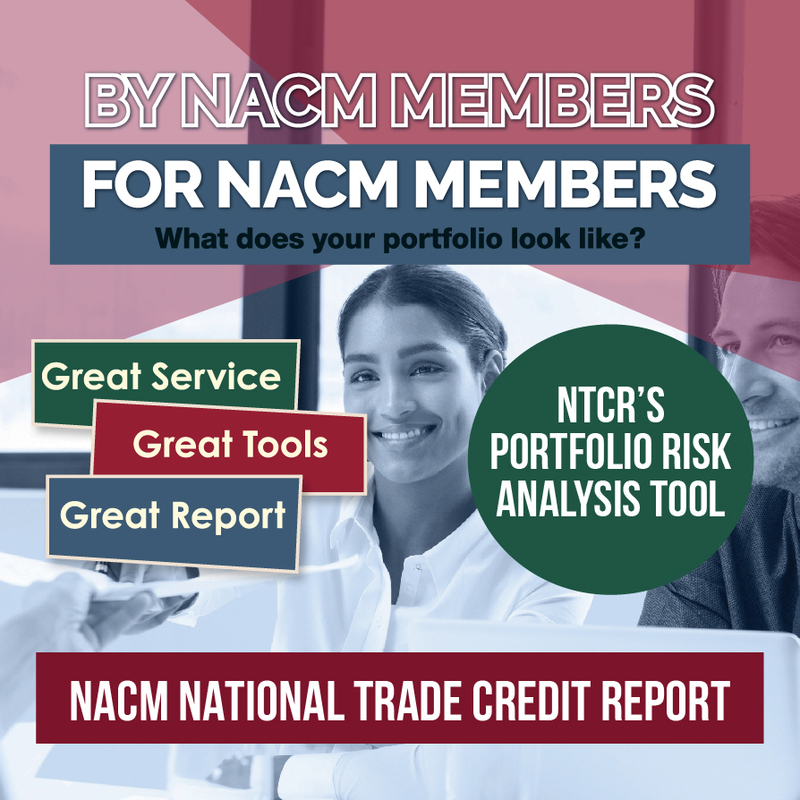 NACM-National and its network of Affiliated Associations are the leading resource for credit and financial management, providing information, products and services for effective business credit and accounts receivable management. NACM Affiliates are market leaders in the area of credit group services offering more than 1,500 groups across the nation. NACM is committed to assisting every member, meeting their needs and addressing their concerns by offering easy-to-obtain, high-quality products, services and programs. The NACM Blog is about giving you Credit Real-Time: The Latest in Commercial Credit. You will find up-to-date news and information on all thing affecting B2B credit and financial managers including legislative or legal issues along with relevant trends and tips of the trade. Visit the blog and subscribe. Created from a monthly survey of credit and collection professionals, NACM's Credit Managers' Index (CMI) tracks favorable and unfavorable factors in the monthly business cycle. The CMI is a benchmarking and forecasting tool that has gained rapid acceptance within the business and financial community as an economic indicator to both watch and report on. Participants earn on Roadmap Point for participating in 10 surveys in a 12-month period. Sign up to participate. NACM's eNews Weekly Update provides targeted and timely news briefs of interest to the credit and financial community. Subscribe today. Press releases for immediate release are posted in the Press Room. Articles range in topic from reports on the Credit Manager's Index, Credit Congress Award Winners, Partnerships and new Educational offerings. Check out the archive. Stay current in the industry as a member of NACM. Find out about Membership and Join Now. Looking for ways to get the most out of your NACM Membership? Get started. Published 9 times a year, Business Credit magazine serves those responsible for extending business and trade credit and overseeing risk management for their companies. With dedicated staff writers and expert contributors, the magazine will keep you up-to-date on cutting-edge trends and important legislative, bankruptcy, business ethics, trade finance, asset protection, benchmarking and scoring issues—the credit matters that affect the way you do business. Whatever you’re searching for in the world of credit, Business Credit magazine is where you’ll find it. Learn more. The NACM Survey is used to poll our membership to gage current trends in business credit. The survey opens at the beginning of the month and closes mid-month. The results are recapped in eNews. Take a look at past results.